1831 - Frederic William Farrar, Indian-born cleric, schoolteacher, author, and poet; he was a pallbearer at the funeral of Charles Darwin in 1882. 1890 - Elizabeth Gurley Flynn, labor leader, activist, and feminist who played a leading role in the Industrial Workers of the World (IWW) and was Chair of the Communist Party USA; she was a founding member of the American Civil Liberties Union and a visible proponent of women's rights, birth control, and women's suffrage. 1903 - Louis Leakey, British archaeologist and author who helped establish the theories of early human evolution beginning in Africa. 1906 - Nelson Goodman, influential American philosopher. 1928 - James Randi, Canadian-American stage magician and skeptic, whose writings debunk pseudoscience and paranormal subjects. 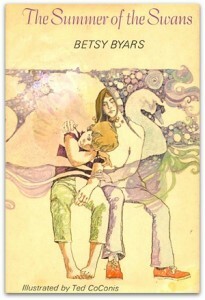 1928 - Betsy Byars, American author of children's fiction who has won a Newbery Medal, the National Book Award, and an Edgar Award; she is best known for her novel Summer of the Swans. 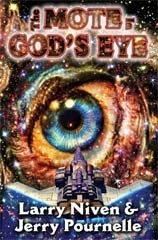 1933 - Jerry Pournelle, American science-fiction writer who also writes in the technology and computer field; he is best known for his collaborations with Larry Niven, including The Mote in God's Eye. 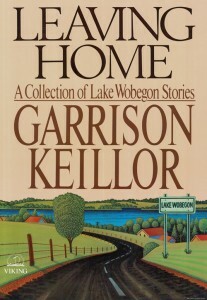 1942 - Garrison Keillor, American author, poet, and radio personality, best known for his long-running show A Prairie Home Companion. 1949 - Matthew Francis Parris, South African/British journalist and politician. 1950 - Alan Lee Keyes, American conservative political activist, author, and perennial candidate for public office. 1950 - Terry Randolph Hummer, American poet, critic, essayist, editor, and professor. 1952 - Larry J. Sabato, political scientist, analyst, and prognosticator who is a University of Virginia professor. 1953 - Anne Fadiman, National Book Critics Circle Award-winning American author. 1955 - Vladimir Sorokin, popular Russian poet and dramatist. 1957 - Paul Dini, comic-book author, screenwriter and producer who works in the television and comic-book industries. 1960 - David Duchovny, American actor, writer, producer, director, and novelist; he is best known for his role as Fox Mulder in the TV series, The X-Files. 1960 - Deborah Ellis, Canadian author and anti-war activist. 1963 - Rochelle Alers, American writer of romance novels who has also written under the pen names Susan James and Rena McLeary. 1968 - Francesca Gregorini (born Countess Francesca McKnight Donatella Romana Gregorini di Savignano di Romagna), Italian screenwriter and film director;she is the daughter of former Bond girl Barbara Bach, and is the stepdaughter of Beatles drummer Ringo Starr, . 1969 - Scott Hanford Stossel, American journalist who is editor of The Atlantic magazine. 1983 - Brit Heyworth Marling, American actress, screenwriter, and film producer.